Welcome to the final Zmail on how to get hotels to stand up and take notice of your meeting RFP. This is part 3 of our 3-part series that brings you 7 simple tips you should do right now to ensure hotels jump when they receive your meeting RFP. (If you’ve missed one, here are the first and second Zmails in the series). 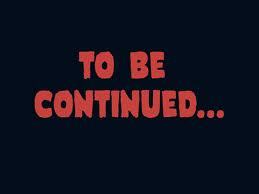 This week I'm focusing on something I call the “To be Continued” Dilemma (TBC). TV networks love this strategy for locking in viewers: Instead of concluding a show in the normal 30- or 60-minute time allotment, they end on a cliff-hanger, with a big message on the screen that says, “To Be Continued." What does this have to do with your meeting RFP and hotels? Every day sales managers are left hanging, wondering whatever happened to that meeting they spent so much time working on. As you learned in last week’s Zmail, not knowing the outcome can be costly to hotels. Why does this matter to you? First, by not closing the loop you might get flagged in the hotel’s account management system as a non-credible lead source. That would affect your overall deal the next time you seek a bid. Second, you could be on the other end of this, looking for space for your next meeting only to be told there’s no availability because another planner hasn’t released space. Let them know both the name of the selected hotel and the reason why you selected that hotel: Salespeople are naturally driven by the competitive nature of their jobs. Letting them know they lost your meeting to the hotel next door – and why you chose that hotel – will help you when you work with them again (and you know you will because this industry is so small). They’ll know your hot buttons and will be far more focused on getting you exactly what you need next time. There you have it, the last of the key steps to building meeting RFP credibility and getting hotels to stand up and take notice rather than getting lost in a sea of lead spam. I guarantee that if you work to build these steps into your daily meeting planning routine, you’ll not only find hotels responding faster and offering more valued packages, but also find yourself with a lot more time to do other things – what we call achieving Meeting Bliss. At Zentila, we understand how to create 100% meeting RFP credibility. Our unique buying process accounts for each of these steps outlined in the past three weeks. Go ahead and try us for your next meeting and see for yourself. Meeting Bliss has never been easier.